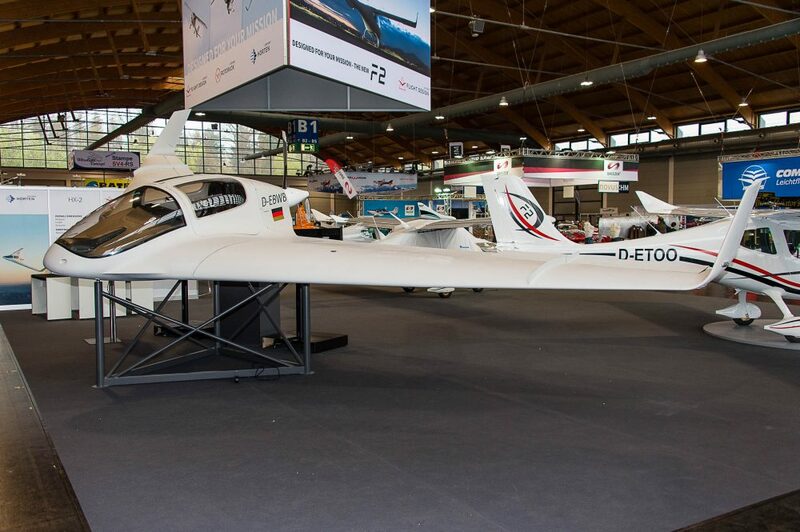 Horten Aircraft flew its HX-2 flying wing prototype from its HQ at Eisenach in Germany to Friedrichshafen for the aircraft’s public debut at AERO 2019 after just six hours of flight testing, according to test pilot Kai Schulter. 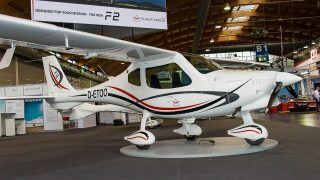 That testing time was enough to sort out initial issues with trim and also to gain confidence in the aircraft’s flying characteristics, said Schulter. Schulter admitted that he’d insisted on rudders being added to the winglets in case extra control was necessary to deal with crosswind landings. 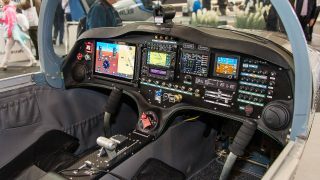 Theoretically, they shouldn’t be, since the ailerons provide directional control as well as banking on the design but that remains to be proven, or not, during flight testing. Horten Aircraft is the brainchild of Bernhard Mattlener, current CEO and co-founder, and is based on the lifetime’s work by Reimar Horten, a prolific designer of blended wing aircraft. Reimar died in 1994. 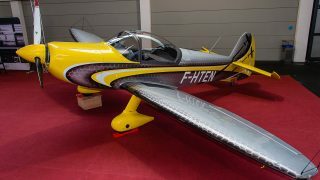 Mattlener is now backed by Sven Lindig whose Lift Air Group also owns Flight Design and Rotorvox. 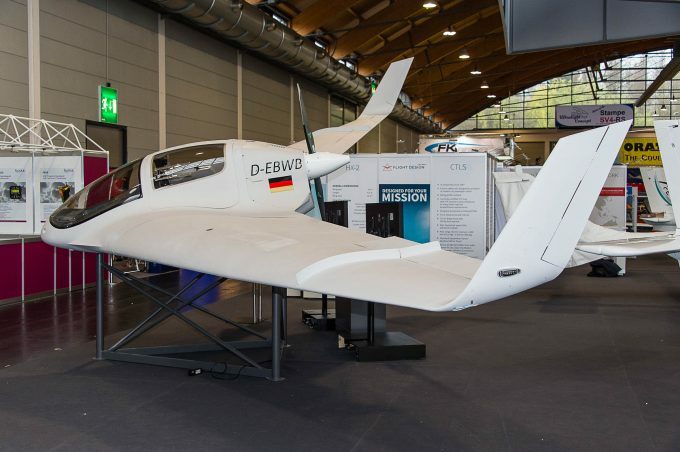 The blended wing – flying wing – design does away with a conventional fuselage because that creates drag and generates no lift, according to current designer and chief engineer Hans Heinen, an aerodynamicist with 40 years experience working with major manufacturers. 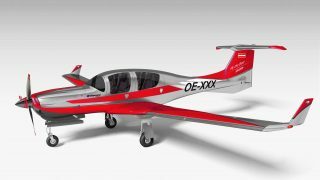 He pointed out that the two-seat prototype has a predicted max speed of 150kt and a range of 3,500km on just a 100hp engine. 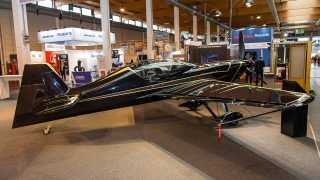 Horten plans to continue testing the prototype and gain feedback from possible consumers before deciding on what the future production aircraft might be, said Lindig, but a five-seater, electric propulsion and unmanned versions are all possibilities.